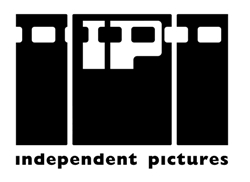 Independent Pictures, the parent organization that brings the Ohio Independent Film Festival to Cleveland each year, announces the call for entries for the 2013 Ohio Independent Screenplay Awards contest. Aspiring writers have a chance to win one of three awards: Best Screenplay; Best North Coast Screenplay (set in or about Cleveland) or Best Voice of Color Screenplay (written by or about people of color). Early deadline for the contest is July 1, 2013. Entrants are encouraged to visit www.withoutabox.com for full details including submission fees and all deadlines. Writers can also receive information by sending an email to ohiofilms@yahoo.com . Winners will be announced during the 2013 Ohio Independent Film Festival, which celebrates its 20th year of programs, November 7-10, 2013. Every screenplay submitted receives personal feedback to the writer, which are read by a seasoned panel of judges from the Cleveland area and across the US. In the past, winning OISA screenplays have gone on to be optioned or produced into full-length feature films; additionally, winning writers have gone on to successful Hollywood careers, as is the case of Karyn Usher, writer of Small Things Considered/ 1999 winning screenplay. Ms. Usher has written for and produced the well-known TV series Prison Break and Bones and most recently, the latest Rodrigo Garcia (Six Feet Under, In Treatment) feature, Delirium. Entrants need not have previous professional experience; however, all screenplays must be professionally-formatted and ideally, no more than 100 pages in length. Submit your screenplays today!